Michael Kates is an Assistant Professor of Philosophy at Saint Joseph's University. Prior to this appointment, he was a Visiting Assistant Professor of Ethics at Georgetown University’s McDonough School of Business and a Postdoctoral Fellow and Lecturer in the Program in Political, Philosophy, and Law at the University of Virginia. In Spring 2017, he was a Visiting Lecturer in the Department of Political Science at MIT. He has a broad range of research and teaching interests in political philosophy and business ethics (in particular, intergenerational justice, poverty, inequality, immigration, and the ethics of sweatshops in the developing world). David Faraci was a GISME Junior Faculty fellow for two academic years, from 2015 to 2017. He is presently an Assistant Professor of Philosophy at Durham University in the UK. His research focuses on the related roles coincidence plays in metaethics and epistemology: knowledge requires out beliefs to be non-coincidentally true; moral worth requires our actions to be non-coincidentally right. He argues that coincidence stems from an absence of explanatory connection, and consider whether and how different epistemology and metaethical views can illuminate or at least accommodate the connections thus required for knowledge and moral worth. He has published articles in Mind, Journal of Moral Philosophy, and Philosophical Studies, among others. He received a PhD in Philosophy from Bowling Green State University in 2012. Govind Persad is an assistant professor at Colorado University's Sturm College of Law. 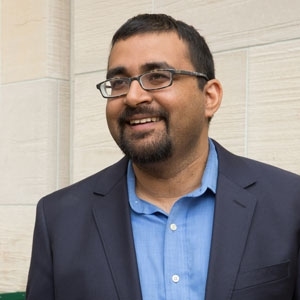 He was previously an assistant professor in the Department of Health Policy and Management in the Johns Hopkins University Bloomberg School of Public Health and in the Berman Institute of Bioethics at JHU. His research interests include the ethical and legal dimensions of health insurance, health care financing (both domestic and international), and markets in health care services, as well as the ethics and regulation of medical research. He also has research interests in the ethical and legal issues presented by social and economic mobility. He received a J.D. and a Ph.D. in philosophy from Stanford University. Thomas Mulligan was a faculty fellow at Georgetown University's McDonough School of Business for two academic years, from 2016 to 2018. He conducts research in epistemology and political philosophy. In his new book, Justice and the Meritocratic State, he advances a theory of distributive justice grounded in the idea that people ought to get the things that they deserve. In a meritocracy, equal opportunity is established through the redistribution of undeserved wealth and public spending on children; wealth and income reflect citizens’ productive contributions and not their family circumstances or their ability to extract economic rents; and jobs are distributed strictly on the basis of merit. Mulligan's work has appeared in Ethics, Political Theory, Synthese, and other journals. Before entering academia, he served in the U.S. Navy and the Central Intelligence Agency. 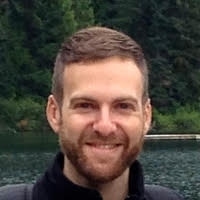 Justin Tosi was a faculty fellow at the McDonough School of Business at Georgetown University during the 2017-2018 academic year. He specializes in moral, legal, and political philosophy. 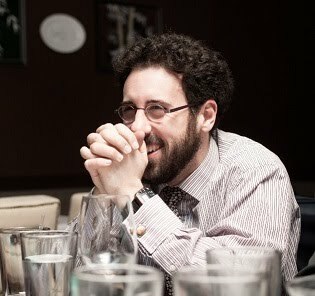 Tosi was previously a postdoctoral research fellow in the Philosophy Department at the University of Michigan, and received his Ph.D. in philosophy from the University of Arizona in 2015. His work has appeared in Philosophy & Public Affairs, Legal Theory, and Pacific Philosophical Quarterly, among other venues. He is currently writing a book, Grandstanding: The Use and Abuse of Moral Talk, with Brandon Warmke, under contract with Oxford University Press.